Two days ago, the U.S. Fish and Wildlife Service announced that the Maguire daisy (Erigeron maguirei) will be delisted from the Endangered Species Act. Although the act has improved the status of hundreds of species, it has rarely recovered species to the point of delisting. The daisy is only the 21st of such species, so the reason for its success deserves a closer look. When the daisy was first listed as “endangered” in 1985, it was known from only 7 plants that occupied rocky areas inaccessible to cattle grazing. Grazing is thought to have extirpated the plant from other parts of its former range. Listing prompted a series of field studies that led to the discovery of additional daisy populations and new genetic information about the species. The genetic data revealed that two other varieties of the Maguire daisy, both excluded from the 1985 listing, were not taxonomically distinct from the listed variety. This automatically increased the species’ total population to approximately 3,000 plants across 12 reproductively isolated sites. Based on this windfall, the Service downlisted the species from “endangered” to “threatened” in 1996. At around the same time, the Service approved a recovery plan for the daisy. The plan establishes three criteria for delisting the species, including maintaining 20 populations, each of which must exceed minimum viable population levels. But when the daisy was proposed for delisting in 2008, the Service had found only 9 populations. So how is delisting possible? It turns out that the 9 populations were functionally better than the estimated 20 populations identified in the recovery plan, as most of them were well above the minimum viable population size. This outcome shows that recovery plan criteria, while important benchmarks, should be interpreted with some flexibility, especially when they are based on outdated assumptions. The recovery plan also directs the Service to help establish formal land management designations to protect the daisy on federal lands. Fortunately for the daisy, over 99 percent of its populations occur on federal lands, a rarity for a listed species. As a result, the targeted protection of federal lands would contribute tremendously to the species’ recovery. This is precisely what happened. 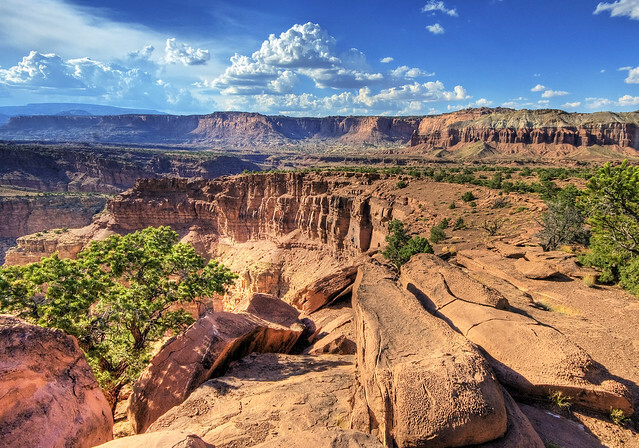 For example, the National Park Service’s General Management Plan for Capitol Reef National Park, where approximately 91 percent of all the daisies are found, protects the species by designating all areas they occupy as Primitive and Threshold Management Zones. Because of comparable protections on Bureau of Land Management and Forest Service lands, the daisy now numbers 163,000 plants within 10 populations in southeastern Utah. And what did it cost for this momentous accomplishment? According to the Service’s reports to Congress, approximately only $422,000 over 19 years (1989-2007), of which $264,000 was provided by state and federal agencies other than the Service. While these figures do not include costs incurred since 2007, the total bill is probably less than $650,000—far below the annual spending for many other species. For imperiled species with a high potential for recovery, a little money can go a long way. The ease with which some species like the Maguire daisy can be recovered underscores an important question: how should the Service prioritize the use of its recovery funds? The Service ranked the daisy 14 out of 18 on its priority of species to recover, mostly because threats to the daisy were low. Yet by focusing on these low-hanging fruits, the Service could more easily improve the Endangered Species Act’s success record. Exactly how the Service should prioritize recovery efforts is a difficult, value-laden question that we will grapple with in a future blog entry.